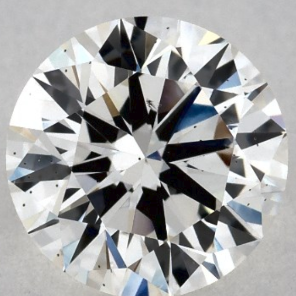 But unless its grader was just having a bad day, when you look closely at a diamond with an SI1 clarity grade, you will probably notice at least one inclusion. Diamond clarity is based on the number, size, relief, nature, and position of inclusions. 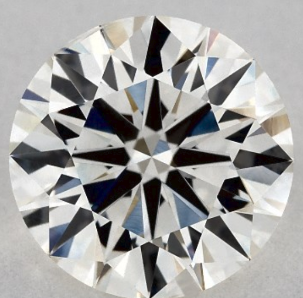 SI1 clarity diamonds have noticeable inclusions that are easy for a diamond grader to see using 10x magnification. Are there deals to be had in the SI1 clarity diamond category? Sure, especially when you have a diamond picking AI like ROSI evaluating the inclusion size, position and type for thousands and thousands of SI1 diamonds to find the one that has the right kind of inclusion in the right place to be eye-clean. The location of inclusions is one of the most important clarity factors. Diamonds with inclusions in the center of the table will receive a lower clarity grade because they are the easiest to see. Diamonds with inclusions near the pavilion can reflect like a hall of mirrors so you see a single inclusion more than once. In contrast, inclusions near the girdle can be hidden by prongs, making them difficult to see when the diamond is set. In SI1 clarity diamonds, ROSI looks for transparent inclusions that are inconspicuous, even if they are large, or lots of pinpoints that are too small to be seen. ROSI never recommends buying a diamond that has chips, cavities, knots, etched channels, or manufacturers remnants because they affect a diamond’s beauty and durability too much. ROSI also automatically eliminates diamonds that have a feather inclusion in the corner or point of a fancy shape, which may be a durability issue. In these two SI1 diamonds, the diamond on the left has black inclusions that are reflected around the diamond like a hall of mirrors. Much better is the diamond on the right that has almost no visible inclusions other than one feather and a tiny extra facet near the girdle. We think that diamonds with VS2 clarity grade offer you the best balance of beauty and affordability. But if you are buying a round brilliant diamond below two carats in size, finding an eye-clean SI1 diamond may be a good choice for you. Remember to insist on a grading report from the GIA or AGS in order to insure that your diamond actually is an SI1 and not a lower clarity grade: other laboratories may not grade to the same high standards. ROSI recommends VS2 clarity diamonds as the best balance between quality and value because you won't see the inclusions in a VS2 diamond with the naked eye. But if your budget is limited, ROSI will evaluate the size and position of the inclusions in SI1 quality diamonds to find one that doesn’t have easily noticeable inclusions. But ROSI generally doesn’t recommend SI1 clarity for step cuts like emerald cuts and Asscher. You also may want to upgrade to VS2 clarity if your diamond is larger than two carats. ROSI automatically takes these factors into account when searching for a diamond with the best possible combination of quality and value.